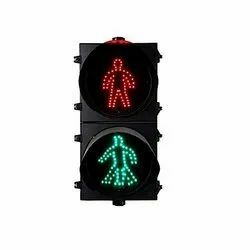 Leading Wholesale Trader of pedestrian traffic signals and traffic light from Pune. We are a well-known firm, which is engaged in offering a wide range of LED Pedestrian Signal Heads. These heads are manufactured using finest quality raw material and highly advanced machines. Our offered heads are used for increasing the safety of pedestrians. Owing to their efficiency, reliability and durability, these heads are widely demanded by the clients. We are engaged in offering a wide range of LED Vehicular Road Traffic Signals. The range offered by us includes 300 mm LED - Pedestrian Stop and Walk, Combination Of Red Amber & Green Traffic Signal, LED Traffic Signal (GREEN FULL CIRCLE), Led Traffic Signal (Red Full Circle) and LED Traffic Signal (Amber Full Circle). The products offered by us are extensively used on roads for safety. Owing to their easy installation and great visibility factor, these products are widely demanded by the clients. 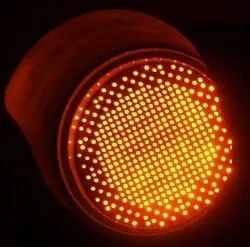 We offer Combination Of Red Amber and Green Traffic Signal, which is available in 300 mm 200 mm diameter sizes. These signals not only help in saving energy but also reduce maintenance expenses and replacement cost. This set of Red/Amber /Gren also ensures smooth movement of Traffic. Looking for LED TRAFFIC SIGNALS ?